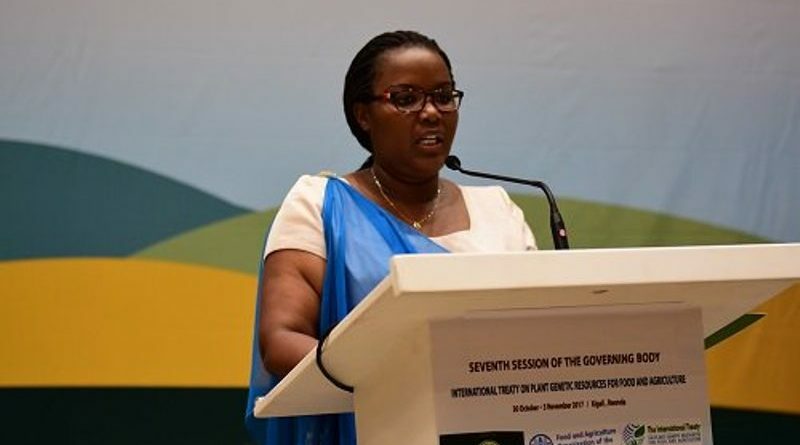 The Minister for Agriculture and Animal Resources Geraldine Mukeshimana has announced that Rwanda is committed to the conservation and sustainable use of biodiversity and to safeguard farmers’ rights to ensure food security in the country. Mukeshimana said that among farmers’ rights to be safeguarded is the right to equitably participate in benefits arising from the utilization of plant genetic resources for food and Agriculture. Mukeshimana was speaking yesterday during the Seventh Session of the Governing Body of the International Treaty on Plant Genetic Resources for Food and Agriculture (ITPGRFA) organized under the theme: “The 2030 Agenda for Sustainable Development and the Role of Plant Genetic Resources for Food and Agriculture”. “Hosting of the 7th Session of the Governing Body of ITPGRFA is a reaffirmation of our country’s commitment to the conservation and sustainable use biodiversity. 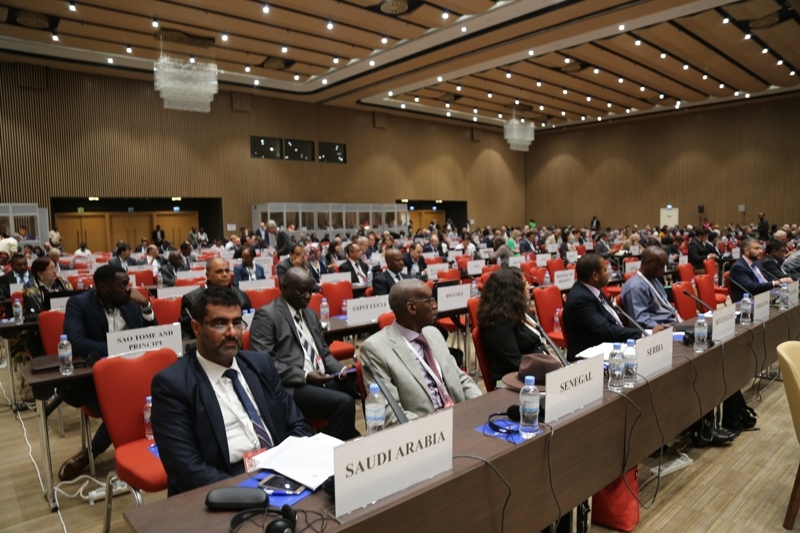 I noted with pleasure that this 7thGoverning Body will discuss among others the possibility of expanding and enhancing the basket of crops exchanged through the Treaty’s Multilateral System,” Mukeshimana said. Minister Mukeshimana (5th L-R) with some Delegates who participated in the GB7 of the ITPGRFA in Kigali (Courstesy). She said that this session is organized at the time the world is facing unprecedented natural-resource constraints and conspicuous effects of climate change and weather variability. “Long and intense droughts threaten crops, livestock and other plants of immediate importance to food security, wildlife and fresh water supplies. Heavy rain falls cause flooding in many regions destroying millions of hectares of crops. Changing ecosystems are threatening some plant and animal species to extinction,” Mukeshimana mentioned. She said that the conservation and sustainable use of biodiversity is not an assignment for Rwanda only, but a common concern of all countries. 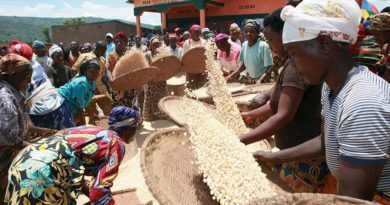 Mukeshimana also noted that the sustainable management of agricultural biodiversity contributes to the diversification of agricultural systems, and ensures the sustainability of agriculture and food systems while increasing economic growth, environmental protection and improving rural livelihoods. This comes in place while Rwanda as a small country is meeting a growing number of populations daily on a small land which also needs to arrange citizens housing. The global population is projected to grow to almost 10 billion of which 2.5 billion will be urban population by 2050. 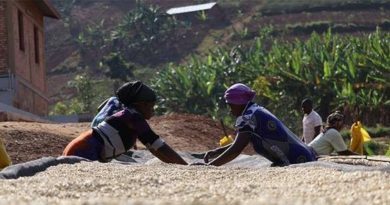 Mukeshimana said that most of these increases will be occurring in Africa and Asia and this means that agricultural output will need to more than double by 2050. Mukeshimana said that more productive, diversified agriculture and food systems are required to cope with the growing and changing consumer demands by tackling unrelenting climate change, weather variability and natural resource constraints that are affecting the sector. 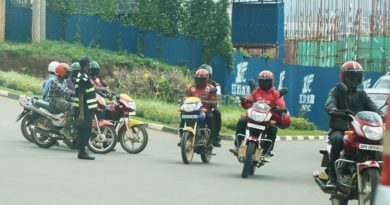 Rwanda’s Agriculture accounts for a third of the GDP and employs nearly 70% of the population. The sector meets 90% of the national food needs and generates more than 50% of the country’s export revenues. 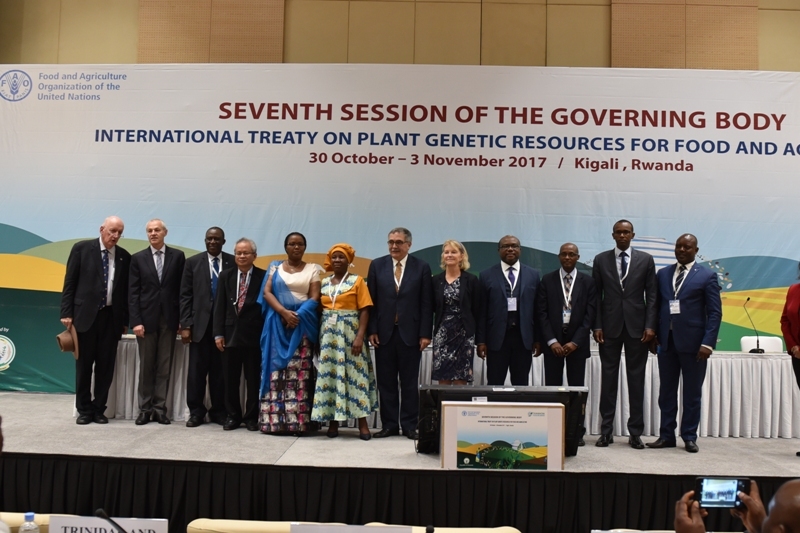 Some of the Delegates who participated in the GB7 of the ITPGRFA in Kigali (Courtesy). 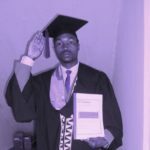 “Rwanda’s Vision 2020 recognizes the need to mitigate threats to the environment that take the form of depletion of bio-diversity and degradation of ecosystems, and stipulates the country’s commitment to put in place strategies to mitigate the impact of climate change by focusing on developing eco-friendly policies and strategies in all sectors of the economy and by promoting green growth,” Mukeshimana said. 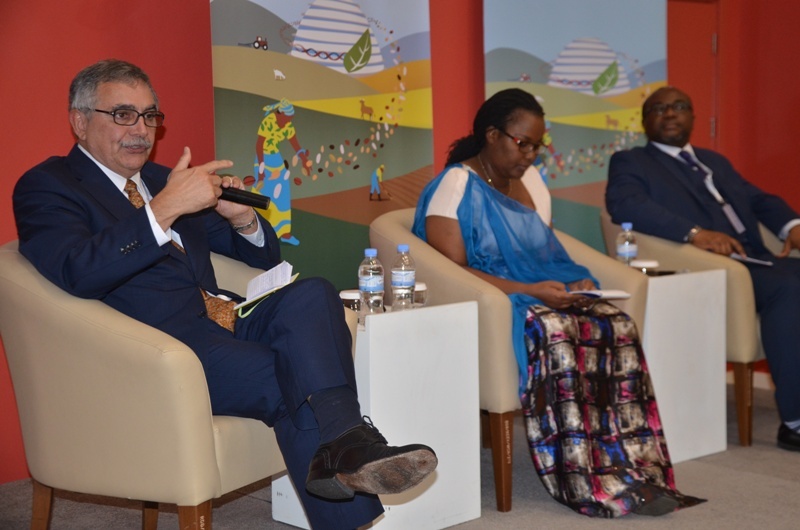 The Minister also mentioned that Rwanda has established laws, policies and strategies that promote the conservation and sustainable use of plant genetic resources for food and agriculture. Such laws governing plant varieties and seeds ensure increase of genetic diversity of crops through plant breeding. 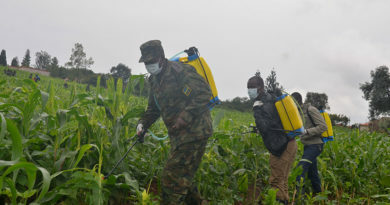 The current top priority of Rwanda’s agriculture research system is to increase genetic diversity of crops through both enhanced international exchange of germplasm and breeding new crops according to Mukeshimana. “Increased international collaboration, especially with centers of the Consultative Group on International Agricultural Research (CGIAR), is playing a prominent role in increasing genetic diversity of our crops to build sustainable food systems,” Mukeshimana said. She ensured that the Government of Rwanda, together with development partners, recently established a gene bank to conserve all genetic resources in the country, the facility which is now operational with a potential to serve other neighbouring countries and partners. 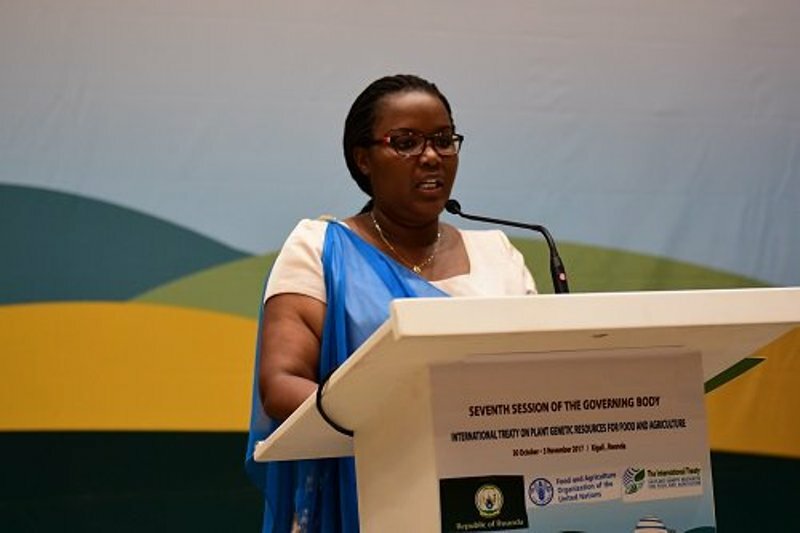 “The Government of Rwanda which is for the treaty Countries contracting parties, have placed very high expectations in this Seventh Session to advance food security and nutritional health through, among others, delivering direct benefits for farmers and indigenous communities participating in the conservations of seeds that produce our food,” Mukeshimana reaffirmed. Mukeshimana said that the community needs to be educated enough about food system. “We need to be smart enough to make sure that what we have produced are used properly and make sure we are keeping feeding our population,” she noted. According to Dr. René Castro-Salazar, Assistant Director-General, Department of Climate, Biodiversity, Land and Water in Food and Agriculture Organization (FAO), there is no room for any kind of waste of food. “A growing number of people need to have access to food, which is basic human rights, we should fight against any kind of food waste,” said Salazar. FAO Assistant Director General, René Castro-Salazar responding to the press questions yesterday (Courtesy).